De Novo Design of Protein Mimics of B-DNA. 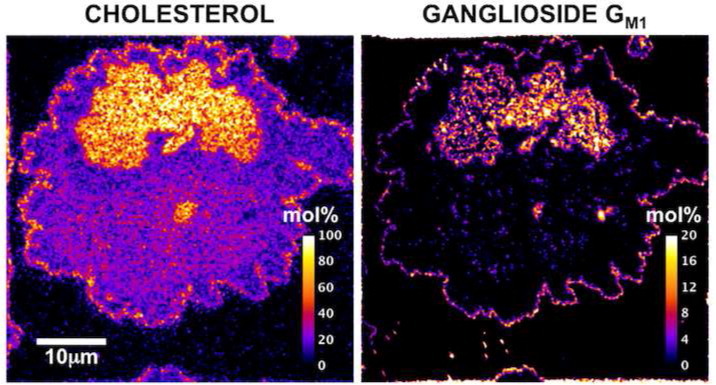 Colocalization of the Ganglioside GM1 and Cholesterol Detected by Secondary Ion Mass Spectrometry. Fluorogenic Sialic Acid Glycosides for Quantification of Sialidase Activity upon Unnatural Substrates. Novel Probes Establish MrgprX1 Variants as Loss and Gain of Function Receptors. Sialidases as Regulators of Bioengineered Cellular Surfaces. Total Synthesis of Trifluorobutyryl-Modified, Protected Sialyl Lewis X by a Convergent [2+2] Approach. A Two-Step Strategy to Enhance Activity of Low Potency Peptides. An Air- and Water-Stable Iodonium Salt Promoter for Facile Thioglycoside Activation. Fluorination in the Design of Membrane Protein Assemblies. Ligand-Induced Protein Mobility in Complexes of Carbonic Anhydrase II and Benzenesulfonamides with Oligoglycine Chains. Cross-Strand Interactions of Fluorinated Amino Acids in β-Hairpin Constructs. A Model System for Cell Adhesion Mediated by Weak Carbohydrate-Carbohydrate Interactions. Chemical Biology Using Fluorinated Building Blocks. Zamora, C. Y.; Dafik, L.; Kumar, K. in Supramolecular Chemistry: From Molecules to Nanomaterials. Gale, P. A. and Steed, J. W. Eds., John Wiley & Sons 2012, Chichester, UK, 1947-1964.
β-Peptide Bundles with Fluorous Cores. Modulation of Cellular Adhesion by Glycoengineering. Trifluoromethyl Derivatization of the Ganglioside, GM1. Liu, Z.; Kumar, K. Synthesis. 2010, 1905–1908. A New Paradigm for Protein Design and Biological Self-Assembly. Fluorinated Lipid Constructs Permit Facile Passage of Molecular Cargo into Living Cells. Protein Design Using Non-Canonical Amino Acids. Yüksel,D. ; Pamuk, D.; Ivanova, Y.; Kumar, K. in Protein Engineering and Design Park, S.; Cochran, J. Eds.,Taylor & Francis 2009, 205-222. Lipopeptides Derived from HIV and SIV Mimicking the Prehairpin Intermediate of gp41 on Solid Supported Lipid Bilayers. Fluorinated Amino Acids and Biomolecules in Protein Design and Chemical Biology. Meng, H.; Clark, G. A.; Kumar, K. Fluorine in Medicinal Chemistry and Chemical Biology. Ojima, I. and Taguchi, T. Eds., John Wiley & Sons 2009, 411-446. Engineering and Characterization of a Single Chain Surrogate Light Chain Variable Domain. Biosynthesis and Stability of Coiled-Coil Peptides Containing (2S,4R)-5,5,5-Trifluoroleucine and (2S,4S)-5,5,5-Trifluoroleucine. Coiled-Coil Lipopeptides Mimicking the Prehairpin Intermediate of Glycoprotein gp41. Influence of Selective Fluorination on the Biological Activity and Proteolytic Stability of Glucagon-like Peptide-1. Fluorination of Mammalian Cell Surfaces via the Sialic Acid Biosynthetic Pathway. Structure and Thermotropic Phase Behavior of Fluorinated Phospholipid Bilayers: A Combined Attenuated Total Reflection FTIR Spectroscopy and Imaging Ellipsometry Study. Peptide Tertiary Structure Nucleation by Side-Chain Crosslinking with Metal Complexation and Double “Click” Cycloaddition. Antimicrobial Activity and Protease Stability of Peptides Containing Fluorinated Amino Acids. Nanoscale Patterning in Mixed Fluorocarbon−Hydrocarbon Phospholipid Bilayers. The Role of Conserved Histidines in the Structure and Stability of Human Papillomavirus Type 16 E2 DNA-Binding Domain. Fluorinated Amino Acids and Reagents in Protein Design and Biomolecule Separation. Meng, H.; Kalsani, V.; Kumar, K. In Current Fluoroorganic Chemistry; ACS Symposium Series; American Chemical Society, 2007; 949, 31–487. Bioorthogonal Noncovalent Chemistry: Fluorous Phases in Chemical Biology. Fluorinated Interfaces Drive Self-Association of Transmembrane α Helices in Lipid Bilayers. A Fluorous Capping Strategy for Fmoc-Based Automated and Manual Solid-Phase Peptide Synthesis. Montanari, V.; Kumar, K. European J. Org. Chem. 2006, 4, 874–877. Selective Protein−Protein Interactions Driven by a Phenylalanine Interface. Enabling Routine Fluorous Capping in Solid Phase Peptide Synthesis. Montanari, V.; Kumar, K. J. Fluor. Chem. 2006, 127 (4), 565–570. Controlling Association of Vesicle Embedded Peptides by Alteration of the Physical State of the Lipid Matrix. De Novo Design of Defined Helical Bundles in Membrane Environments. Alternative Translations of a Single RNA Message: An Identity Switch of (2S,3R)-4,4,4-Trifluorovaline between Valine and Isoleucine Codons. Just Add Water: A New Fluorous Capping Reagent for Facile Purification of Peptides Synthesized on the Solid Phase. A Highly Stereospecific and Efficient Synthesis of Homopentafluoro- Phenylalanine. Protein Design Using Unnatural Amino Acids. Bilgiçer, B.; Kumar, K. J. Chem. Educ. 2003, 80 (11), 1275. Fluorinated Amino Acids in Protein Design and Engineering. A Simple and Efficient Method for the Resolution of All Four Diastereomers of 4,4,4-Trifluorovaline and 5,5,5-Trifluoroleucine. Synthesis and Thermodynamic Characterization of Self-Sorting Coiled Coils. Bilgiçer, B.; Kumar, K. Tetrahedron 2002, 58 (20), 4105–4112. Programmed Self-Sorting of Coiled Coils with Leucine and Hexafluoroleucine Cores. A Coiled Coil with a Fluorous Core. A Novel Synthesis of Enantiomerically Pure 5,5,5,5‘,5‘,5‘-Hexafluoroleucine. Fluorophobic Acceleration of Diels−Alder Reactions. Myers, K. E.; Kumar, K. J. Am. Chem. Soc. 2000, 122 (48), 12025–12026.